Barbecues by Napoleon, as the leading Napoleon BBQ retailer in the U.K. we hold a large range of Napoleon's BBQ's in stock available for immediate delivery. Napoleon BBQ's set themselves apart from other BBQ brands with innovative BBQ features including Sizzle Zones and Charcoal trays. Not all Napoleon BBQ's have these features but please feel free to contact us with any questions on Napoleon BBQ's. Superior technology, solid performance and balanced design are the hallmarks of a Napoleon� Prestige Series Grill. See for yourself the difference a Napoleon Gourmet Grill makes! The next evolution in barbecuing combines Napoleon's� patented stainless steel cooking system with ceramic infrared technology. The intense heat of the SIZZLE ZONE� instantly locks in valuable juices and mouth watering flavor. Napoleon gas and charcoal barbecues are a family run business based in Canada, and they have a quickly growing following in the UK. Not surprisingly as the products are second to none. They offer a very extensive range for all requirements and budgets. Starting with the SE series, ideal for a small family or beginner griller. Moving right up the show stopping Prestige PRO825 with 2 hoods and all the features you can think off. And completing the range with Natural Gas options and built in heads and furniture so you can make your very own and unique outdoor kitchen and entertaining area. 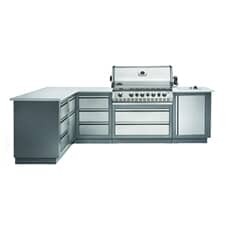 The LE series packs in all the key features of a gas barbecue. With a side burner so you can heat up a sauce for your steak without having to dash back to the kitchen. A Rear burner (RB models) for the perfect rotisserie cooked chicken, pork or meat of choice. 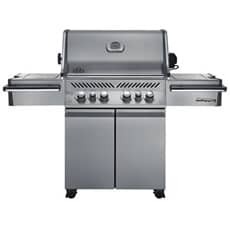 All Napoleon gas grills can also use charcoal, simply place the fuel in the charcoal tray and switch this with the sear plates and replace the cooking grills. You can use the gas burner below to light the charcoal. Only Napoleon gas barbecues have this feature. Due to the heat you can reach with charcoal this shows how robust and well designed the Napoleons are. The Prestige ranges are completely manufactured in Canada in their own factory and quality control is very strict. The materials they source to make the gas grills from is of the highest quality to ensure longevity from the finished product. The Sizzle Zone is an infra red ceramic burner with thousands of tiny ports in, so the ceramic heats up to 1800f in 30 seconds making it perfect for searing meats and locking juices in. The Built in models cover a variety of budgets and are available to use with bottled propane or from a natural gas supply. And a full selection of furniture to build into your outdoor kitchen. BBQ World is the official website of Dawson's Department Store. We have a large selection of high quality and competitively priced barbecues from some of the biggest names, including Napoleon gas grills, accessories, and even built-in Napoleon gas BBQs. 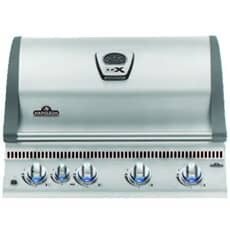 We also stock Napoleon gas grill parts and BBQ accessories, ensuring that you can enjoy a great outdoor cooking experience. Spend more than �50 on Napoleon barbecues, or on any other items on the BBQ World site, and enjoy access to free delivery to your UK address. Gas barbecues are most commonly chosen for their convenience. Simply turn the burner dial and press the ignition switch to light the grill, and within a few minutes you will be ready to start cooking. While you must wait several minutes for a charcoal barbecue to reach the right temperature, this isn't necessary with a Napoleon gas BBQ. You also benefit from uniform and consistent heat delivery. Every time you light the barbecue and every time you choose a specific heat setting, you enjoy the same results. The burners are set up in such a way that you will still enjoy hotter and cooler areas, but there are some innovative features included in Napoleon gas grills that provide you with even greater flexibility and an improved outdoor cooking experience. Infrared sizzle zones are extremely convenient. They heat up to very high temperatures, allowing you to sear meat. The outside of the meat cooks and seals quickly, so that the juices are retained within the piece of meat. The result is a succulent and juicy cut, rather than a dry and shrivelled, black mess. You can safely and successfully prepare steaks and other cuts of meat on a Napoleon gas BBQ thanks to these sizzle zones. Not all models include size zones; for example, a Napoleon portable gas grill is too small to be able to house such a feature, so if you do enjoy preparing great tasting steaks, ensure that this is one of the features that you look for. 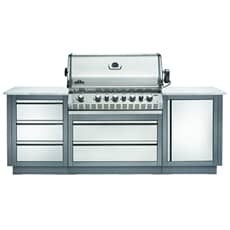 Napoleon gas BBQs are made from, or incorporate, stainless steel as the material of choice. Stainless steel is rust and corrosion resistant, so that you can leave your barbecue outdoors or in the shed even in winter, without the risk of it aging prematurely. Stainless steel is also easy to clean, and it is easy to maintain a germ and bacteria free cooking and food preparation area. If you are concerned about food safety, if you intend to keep your grill in a cold and damp environment, or you like the ultra clean and modern look that stainless steel has to offer, then a Napoleon gas barbecue is a good choice. Built in barbecues are more like outdoor kitchens than the portable barbecues many of us are used to. 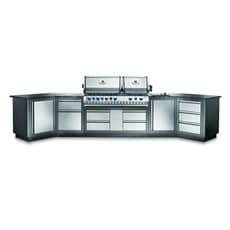 You can combine a barbecue with three, four, or even more burners, with units, worktops, cabinets, and drawers. You can even buy an outdoor fridge unit that is perfect for keeping drinks cold or for storing food. With an outdoor kitchen, you will have plenty of storage space as well as enjoying having the room it takes to prepare great tasting food. 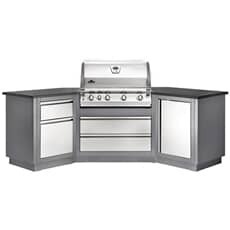 Buy a full outdoor kitchen set, just the built-in barbecue, or invest in Napoleon barbecue accessories like end units, drawer units, and storage cabinets. You will never be left wondering where you placed the skewers when you packed up the grill last year. At the other end of the barbecue scale is the Napoleon portable gas grill. With a traditional kettle shape, this type of barbecue is ideal for those that are limited in the space that they have, or for individuals and families that want to be able to move their BBQ around with them. You can take a portable BBQ with you on holiday, pack it up and take it to the beach, or you can more easily wheel it into the shed and place it under cover for winter. Portable grills are extremely convenient, and they are also among some of the cheapest barbecue options available to buyers. Arguably the most important of all Napoleon BBQ accessories is the cover. Although these grills are made from stainless steel, and are built to last for many years, you can use a cover to further prolong the life of the BBQ. It not only protects against the sun and the rain, but it can prevent damage being caused by flying dirt and debris during the wintery months. This debris not only has the potential to cause damage to the exterior of the barbecue, but it can also make it harder to clean and prepare the grill when you next want to use it. While the barbecue cover may be the most functional of Napoleon BBQ accessories, there are many others. 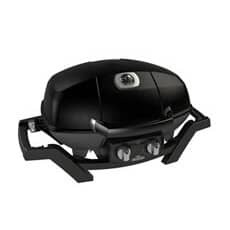 At BBQ World, we not only stock items like cooking utensils and smoking chips or planks, we also offer replacement Napoleon gas grill parts. Replace parts that have become damaged, or buy additional parts to enhance the functionality and benefit of the barbecue that you own. 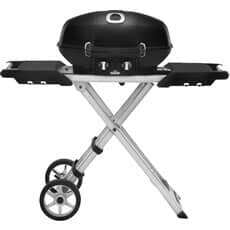 Napoleon gas grills are well known for their durability and their quality. They look attractive, and by combining them with units and storage units, as well as other Napoleon BBQ accessories, you can greatly enhance the cooking and dining experience. 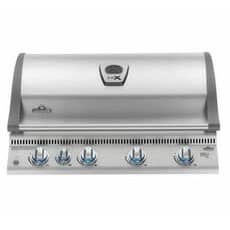 The gas BBQs are easy to light, they offer uniform heat, and they provide a consistent outdoor cooking experience. If you are serious about preparing and eating food outside, then Napoleon is one of the best manufacturers that you can turn to buy the best quality items. 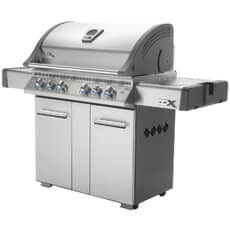 BBQ World is proud to stock a large selection of Napoleon gas grills and BBQ accessories. We also stock items from other big brands like Weber and Outback, and we can provide every accessory and item that you need. 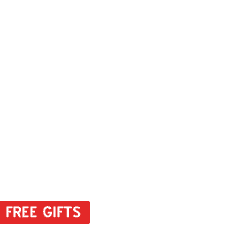 What's more, if you spend more than �50 on barbecues and the other accessories on our site, then you will also enjoy free delivery to your door. Im a born and bred South African and was taught at a very young age how to Braai BBQ for those of you who dont know Afrikaans.Over the years Ive had the pleasure of using owning and in some cases making my own BBQs.Now I am the proud owner of the Rolls Royce of BBQs the Napoleon Mirage M605RBCSS-1.This is the Starship Enterprise of the charcoal BBQs. It is made of high quality stainless steel and fits together very well. NO swearing or the use of BIG hammers is required for assembling. The bottom half stand unfortunately is not stainless steel but it is still of high quality metal and finished to perfection.The hood is well balanced and big enough to be used as a large oven with a stainless steel ACCU-PROBE temperature gauge. Open the hood and you have three very well made Porcelainized cast iron WAVE reversible channel cooking grids. A warming rack is fitted at the top and works well at keeping meat warm and a good place to rest you steaks before you chomp into them.The charcoal bed has six adjustable setting by means of a handle on the right and a very convenient and unique charcoal door to add charcoal to your fire while cooking. The heavy duty shelves either side of the BBQ come in really handy for putting your condiments on.Behind the stainless steel doors is a large storage area where you will find the ash collection tray hidden at the top of it making this the easiest BBQ to clean. The vents situated at the top of the doors make it easy to control the temperature although I do think that this can be improved a little.The rotisserie is a great addition and completes the BBQ. Although the rotisserie charcoal rack could have been designed a lot better. Feeding it with charcoal can be a bit awkward.Every time I walk onto my patio and look at my BBQ I smile its like having a Ferrari parked on your drive.